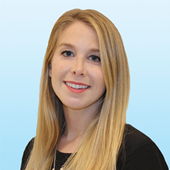 Robin Dinkin is an Associate in the Retail Leasing Division of Colliers International. Ms. Dinkin joined a select team of professionals in 2018, focusing on owner and tenant representation in the Tri-State Region. Her team also concentrates in strategic planning, market analysis, tenant prospecting, site selection, lease structuring and negotiation, and space and property management. Ms. Dinkin started her real estate career as an intern at Savills Studley where she assisted a leading brokerage team. Before entering the commercial real estate field as an associate, she worked at Compass as a licensed real estate salesperson to a top residential broker in downtown Manhattan. She helped manage over $70 million in transactions in 2017. Ms. Dinkin holds a Bachelor of Science with Honors in Rehabilitation Psychology from University of Wisconsin - Madison. Ms. Dinkin is a member of the Real Estate Board of New York (REBNY). David A. Green, Vice Chairman, co-leads Colliers International’s New York Retail group. He focuses on the marketing and leasing of retail space for property owners, as well as strategic planning, market analysis, and space acquisition for retail tenants in the Tri-State Region. Mr. Green is also charged with growing Colliers’ Retail practice in New York City and the surrounding region through relationship-building, talent recruitment, and expanded activity. He joined Colliers in 2016. Over his 30-year real estate career, Mr. Green has represented many high-profile tenants and prominent owners in several of New York’s most outstanding retail transactions. Select landlords for whom he has acted as agent include Boston Properties (New York City retail portfolio including The General Motors Building at 767 Fifth Avenue); 650 Fifth Avenue Company (retail master lessor of 650 Fifth Avenue); J.D. Carlisle (Kips Bay Plaza and 160 Madison Avenue); Bow-Tie Partners (1530 Broadway); the Port Authority of New York & New Jersey (Port Authority Bus Terminal); Status Capital (2 Herald Square); and The Carlyle Group and Crown Acquisitions (666 Fifth Avenue). Recent high-profile accomplishments include leases to Under Armour at The General Motors Building and Gap and Old Navy at 1530 Broadway; a long-term master lease of the retail space at 650 Fifth Avenue to an entity formed by SL Green and Jeff Sutton; and the leasing of the retail condominium at 666 Fifth Avenue to Hollister and Uniqlo. Mr. Green’s tenant representation clients include Charles Schwab, De Beers, Garrett Popcorn, JPMorgan Chase, Swatch, Mango, Nintendo and Umami Burger. C. Bradley Mendelson is a vice chairman in Colliers International’s New York Retail group. His focus is threefold: help retail tenants develop and execute strategic real estate plans in the Tri-State market, represent owners in the marketing and leasing of retail space, and, as co-leader of the Retail team, grow the firm’s resources and expertise in that industry across the region. Mr. Mendelson is a knowledgeable and accomplished retail real estate professional, having acted on behalf of many prominent owners and high-profile tenants in the past. He recently leased approximately 125,000 square feet to Hollister, Uniqlo and Swatch at the retail condominium at 666 Fifth Avenue, which also contains a World of Zara flagship store. In addition, he previously represented ownership in the lease for Toys “R” Us’ famous Times Square store, as well as Footlocker and Swatch locations, at 1530 Broadway. Sixteen years later, he leased 75,000 square feet to Gap and Old Navy in the same building. His owner clients include Amtrak, The Blackstone Group, Boston Properties, Bow-Tie Partners, The Carlyle Group, Crown Acquisitions, Cohen Brothers Realty, Hammerson Properties, J.D. Carlisle Development Corporation, Lendlease, MetLife, Metropolitan Partners, Paramount Group, Kushner Companies, The New 42nd Street, Orda Management, Reckson, Solow Management, Starwood Hotels and Resorts, Tishman Speyer Properties, The Trump Organization, and The Witkoff Group. Mr. Mendelson’s ongoing relationship with Emerisque Partners is a highlight of his tenant representation experience. Among other tasks, he was retained to evaluate the company’s national real estate holdings and assist in the strategic acquisition, disposition and restructuring of its entire real estate portfolio. Other prominent tenant clients include Balducci’s, Bally Total Fitness, Bath and Body Works, Café Concepts/Fireman Hospitality Group, Calvin Klein, Charles Schwab, China Grill Management, Dreyfus Financial Services, Earl of Sandwich, Ecko, Kids City, The Limited Express, Planet Hollywood, Sony USA Inc., and Structure. Tommy Botsaris is an Associate in Colliers International's New York Retail group. He specializes in landlord and tenant representation in the Tri-State Region. Mr. Botsaris primarily focuses on the marketing and leasing of retail space for property owners, with additional responsibilities for strategic planning, market analysis, tenant prospecting, and site selection. Mr. Botsaris began at Colliers International in 2015 as a member of the first Accelerate Program, prior to joining the New York Retail group. I am a Director in Colliers International’s New York Retail Group, working with owners to market available retail space and representing tenants in the search for flagship and strategically positioned retail locations in Manhattan, Brooklyn, Queens, the Bronx and across the Tri-State Region. I joined Colliers in 2017.